Though there's nothing wrong with the voice-controlled Google Home smart speaker, the Google Assistant-controlled smart home gadget hasn't caught on like Amazon's Alexa-enable speakers. That's in part because Amazon beat Google to the punch, releasing its Echo smart speaker in November 2014, two full years before Google jumped into the market. That means Amazon has had a big head start on iterating its Alexa-powered smart speakers — plus the company just released a new batch of updated Echoes, including Echoes with screens for video calls. The competition, primarily Google and Apple (which is only releasing its first smart speaker this December), are stuck playing catch up. This week, Google unveiled two new smart speaker products that finally offer solid alternatives to their Echo counterparts. But do these new speakers make the grade? 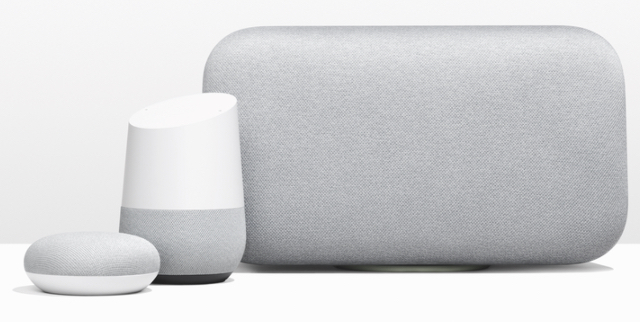 Joining the Google Home smart speaker is the smaller Home Mini and the larger Home Max. All of these speakers work just as you would expect a smart speaker to: they'll play music from a variety of streaming services (or your smartphone, computer, or another device) and respond to questions you have for Google Assistant. All you have to say is "OK Google" and the Home will hear you and start playing music — or anything else you might ask of it. As you can imagine, the Mini is a petite speaker that's about 4" in diameter. Though it won't produce the strong sound of its larger brethren, it's the perfect size to sit anywhere you need a speaker or want easy access to Google Assistant. At $49, it's priced in line with Amazon's Echo Dot, but Amazon's head start — and Alexa has over 10,000 abilities it can use — mean the Home Mini still has a tough climb to become the best smart speaker. However, Google enthusiasts will find the Home Mini will work better with their Google products and services, so if you're building a Google-powered smart home, the Mini is perfect — and the price is right, too. The Home Max is a larger — and pricier — speaker designed to please serious audiophiles. Two 4.5" high excursion woofers mean you can get high volume with deep bass, and its far-field microphones can hear you saying "OK Google" even when the volume's turned up. A "Smart Sound" system lets the Max detect its location in the room and automatically adjust its audio accordingly so you get perfect sound no matter where it's placed, though the Apple HomePod will have the same feature when it's released. At $399, the Home Max isn't really competing with anything from the Amazon Echo line (which tops out at $229) and is even more expensive than the upcoming Apple HomePod ($349). Instead, this is a speaker for audiophiles who might otherwise buy the Sonos Play:3 ($299) or the Sonos Play:5 ($499). The Sonos itself doesn’t have great voice control options, which does give the Home Max some appeal — but Sonos is compatible with Amazon Echo devices and next year the company is adding Apple AirPlay support. The result is that you'll be able to use your Sonos speakers with either Amazon's Alexa or Apple's Siri — certainly appealing if you already own a Sonos speaker. But if you want higher quality sound and Google Assistant compatibility, the Home Max is the gadget for you. And as Google continues to improve Google Assistant, its Home smart devices will only become smarter. 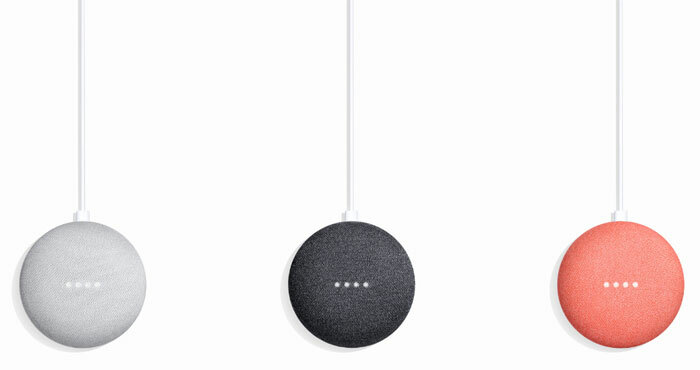 You can pre-order Google Home Mini ($49) now for shipping on October 19. The Google Home Max ($399) is available a little later, with pre-orders opening on November 13 and shipping on January 14.